St Mary’s church stands in the heart of East Leake, opposite Sheepwash Brook. The nave and tower are of the Norman period when it is thought that the church was called St Leonard’s of Lek. 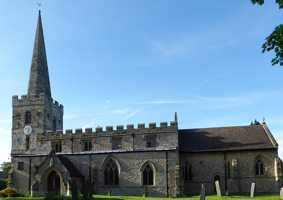 After building in the Norman style, and restyling in the first half of the 13th century in the Early English style, the church was rededicated to St Mary in 1350. Outside, over the door, stands a statue of the Virgin Mary with Child. The south aisle arcade is 14th century in date. 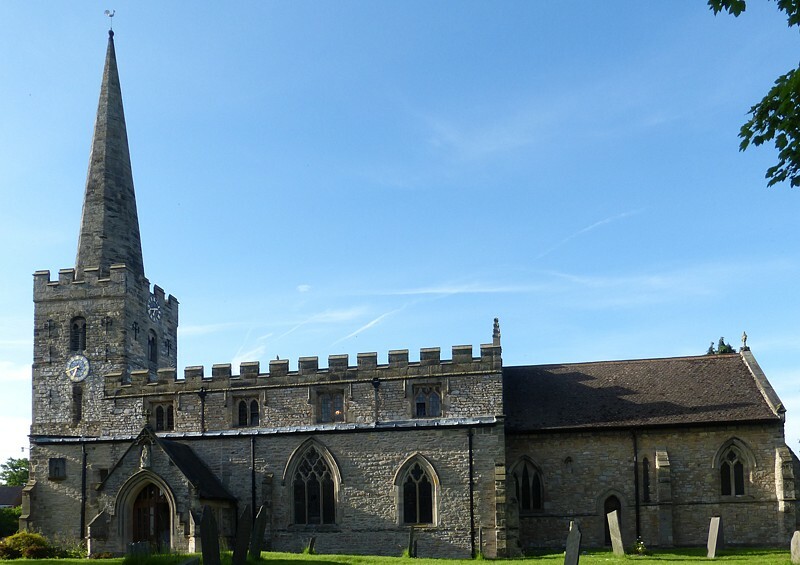 The clerestory was added in the 15th century, and the tower received battlements at around the same period. The chancel was largely rebuilt in 1886. There is some fine stained glass by Kempe, Powell, and Heaton, Butler, and Bayne. The font is of the 13th century and is very crude. The church also houses a 17th century clock mechanism.